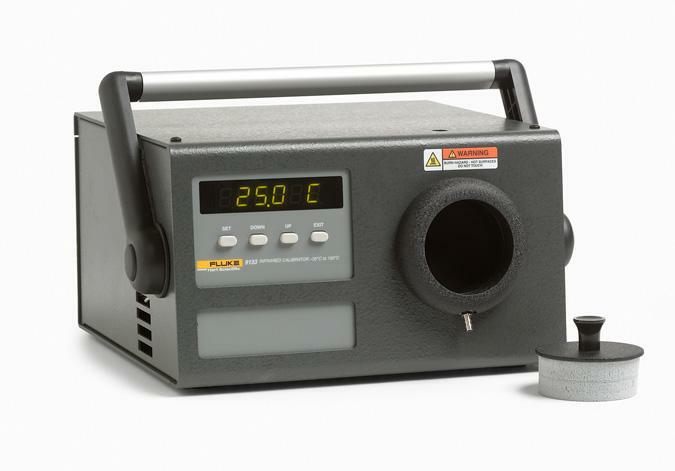 These blackbody calibrator units feature a temperature controlled measurement surface with a diameter of 2.25 in (57 mm). 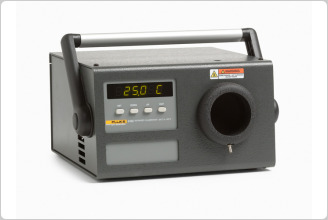 The target temperature can be controlled in set-point increments of 0.1° from –30 °C to 500 °C and a well is located directly behind the blackbody surface for contact calibration. 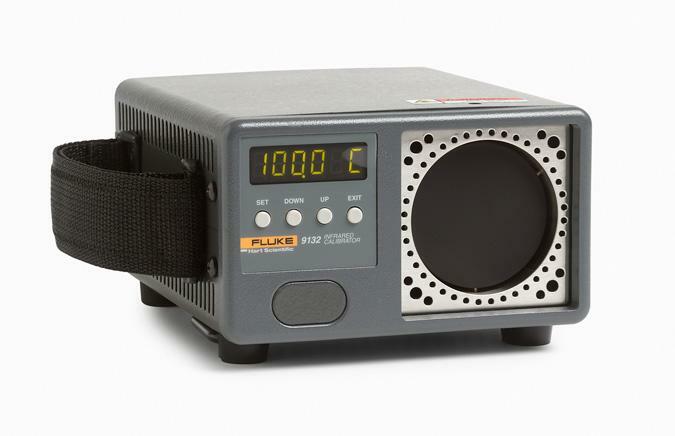 For IR calibrations above normal ambient, the Fluke 9132 blackbody calibration source provides a stable measurement surface up to 500 °C (932 °F). Short heating and cooling times mean you won’t have to wait long to get your work done. 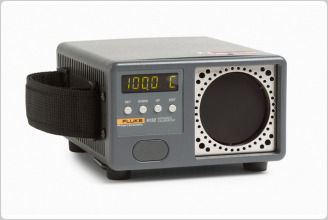 If you’re calibrating IR thermometers at cold temperatures, you’ll love our new Fluke 9133 blackbody calibration source. 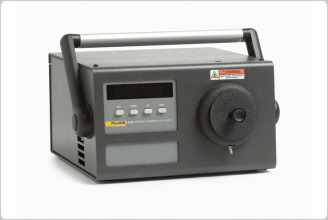 With solid-state cooling technology, this new IR calibrator reaches –30°C (22°F) in normal ambient conditions. 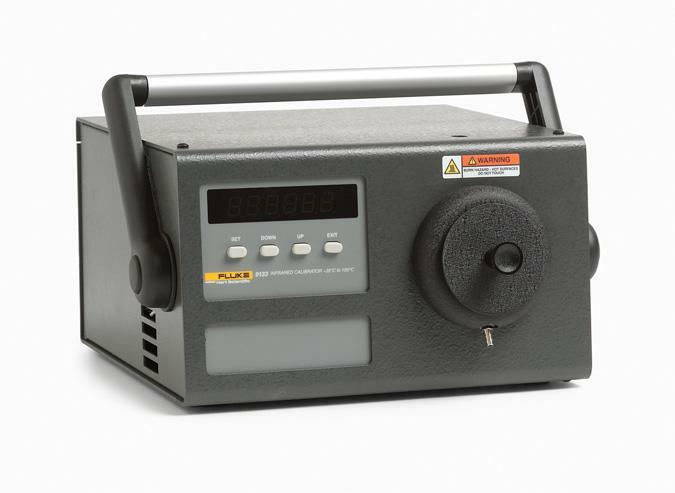 With a conveniently located dry gas fitting on the front bezel, ice build up on the target can be avoided. 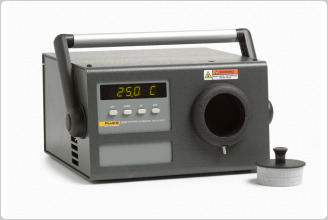 At the upper end of its range, the Fluke 9133 provides stable temperatures to 160°C (320°F). 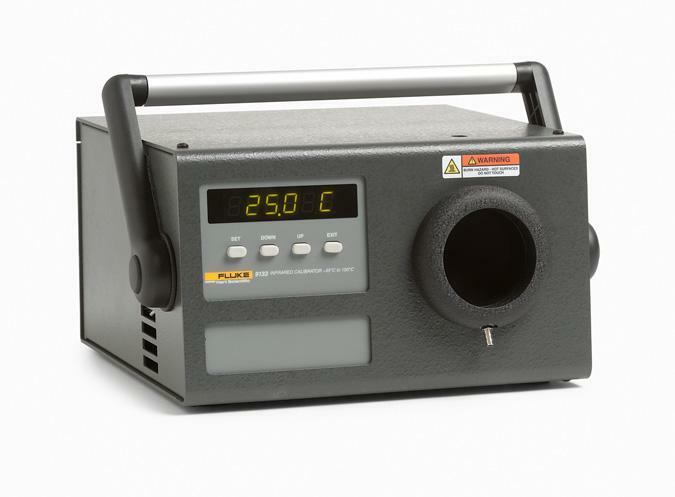 With heating and cooling times of about 15 minutes from ambient to either extreme, the Fluke 9133 gets you to temperature quickly and performs when it gets there.